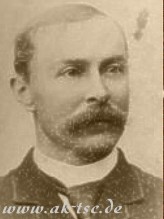 The first club was formed in the Sydney suburb of Parramatta in 1880, through the efforts of an English schoolmaster, John Walter Fletcher, who settled in Sydney five years earlier. On August 3.1880, Fletcher and a fellow soccer lover J.A.Todd called a meeting in Aarons Hotel to promote the English game of Association football in the colony. They formed a club called Wanderers. The Wanderers played its first match on the afternoon of Saturday 14 August1880, against a team from The King's School First XV rugby squad. Wanderers won 5:0. Wanderers wore a white jersey with a Southern Cross badge over the left breast, cap, knickerbockers and blue stockings. The historic Wanderers team line up: J.A.Todd (captain), W.J.Baker, J.W.Fletcher, C.E.Hewlett, W.Robertson, C.F.Fletcher, Chapman, Wastingage, D.Raburgh, W.Simpson, J.Scott. The match was played on Parramatta Common and attracted a crowd of 1,000. Fletcher was born in England in May 1847 he died in Sydney in March 1918. In 1904, the New Zealand Football Association invited an Australian team to tour. A party of 15 players plus an official left Sydney on the SS Mararoa on 22 June 1904. All the players were from NSW. Thirteen of the players came from Sydney clubs, one from Newcastle, and one from the South Coast. The team comprised Fred Robinson (Captain-Manager), Tom Spencer, Bob Byers, Will Thorpe, Bert Moore, Syd Condon, Perce Timms, Con Harrison, Frank Waddel, Andy McMahon, Percy Medcalf, William Carey, Syd Hilder, Andrew Rae (South Coast), and Jack Wishart (Newcastle). Ned Maher was the official. The first match was played in Auckland on 29 June. The tourists and a team from the North Island shared the spoils at 1:1. The goals came in the second half of the match which the referee noted was played before a satisfactory attendance. NSW dominated the game. On 2 July NSW overcame Auckland 3:2, but five days later against Wellington the team lost 1:2. The referee noted that the latter game was played in miserable weather. NSW subsequently beat Canterbury 6:1 and Otago 4:2, and on 21 July Southland 8:0. On 23 July, an all New Zealand national team played for the first time in history, but NSW won by the only goal of the game. It was an historic success. The first half of the game was scoreless but a second half strike by Frank Waddel was enough for New South Wales to take the match. NSW gave an excellent display of teamwork. Next up was a 4:0 victory over South Canterbury in Timaru. On 30 July in the second match against New Zealand played in Wellington, the honours were shared in a 3:3 draw. The referee noted that "better matched teams had never been brought together before." New Zealand had taken a two nil lead, but half time was two all. NSW scored first in the second spell, but NZ levelled before the finish. 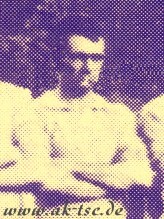 The scorers for NSW were Andrew Rae (2), and Robert Moore. New South Wales' first tour had brought five wins, two losses, and two draws. WANGANUI: Thomas; Healey, ONeill; McGorram, Mitchell, Barker; Mackley, Beckett, Richards, McKechnie, Cooper. AUSTRALIA: George Cartwright; Allan Fisher (c), D. Cumberford; Alec Gibb, C.Shenton, Peter Doyle; G. Brown, J. Bratten, Bill Maunder, Jock Cumberford, Tom Thompson. 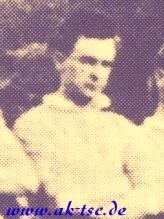 The scorer of Australia's first goal was Jock Cumberford, who also scored the opening goal of the match, and so won the gold medal presented by a local enthusiast for the first goal of the tour. It was the first ever goal for an Australian team. The captain for the Wanganui match was Allan Fisher. He handed over the captaincy to Alec Gibb (Qld) following the Westland match in Greymouth. Gibb was short later the first Australian A-International team captain. Dundedin, 17 June 1922, New Zealand - Australia 3:1. In June and early July of that year, Australia played a series of matches in New Zealand. Three were full internationals. That first National team played in a light blue strip. The Green and Gold strip was not adopted until later. Because those players made history, I think it appropriate to list their names here. They are : G Cartwright; A Fisher, D Cumberford; A Gibb (c), C Shenton, P Doyle; W Dane, W Maunder, J Cumberford, D Ward, T Thompson. That day, the weather was dull and the ground slippery. NZ's Cook scored for the host country. Australia reacted strongly, although handicapped by the wet ground. Then, with only a few minutes left before half-time whistle, Maunder equalised for Australia. It was the first goal Australia had scored in an A International. Half time score was one all, but at the end Australia lost 1:3. One week later, Australia won its first point in an International in a one all draw with the New Zealanders in Wellington. NZ played in all-black jerseys, and were one goal in front. Ten minutes after that goal, Bratten took charge, after he received the ball from a throw in, and slammed it into the New Zealand net. A third test in Auckland resulted in a 3:1 win to New Zealand. Another incident worth recording was during the first soccer Test played in Australia at the Gabba ground in Brisbane on 9 June 1923. The score was one all and there was less then a minute remaining until full time. After a great tackle Tom Thompson stopped the opposing forwards not far from his goal line then, showing great ball control, he took off at fast speed. When he reached the centre line he crossed to right winger Mitchell who immediately crossed back to Thompson now on the left wing. William Maunder had kept pace with them in the centre and he received a grubber ball along the ground from Thompson. Maunder fired it into the net with a left-foot shot as the full-time whistle blew: 2:1 for Australia. The huge crowd mobbed the field and both "Podge" Maunder and Tom Thompson were carried off by enthusiastic spectators. lost in time, because everyone involved with the original occasion has since passed away especially as the politics of Australian soccer has seen all signs of it disappear over time. 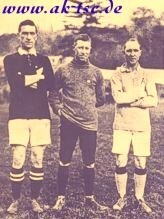 The real story goes back to when New Zealand and Australia first met in international football, back in 1922 and 1923. Australia toured New Zealand, loosing the "test" series. New Zealand returned the favour a year later, and won the series on Australian soil again. What actually happened was at the banquet following the final 1923 test, the respective captains - George Campbell (New Zealand) and Alex Gibbs (Australia) together both teams and officials attended, and also smoked cigars. The ashes were collected by the New Zealand manager, Mr Harry Meyer into a Cigarette Case used at Gallipoli by Mr W. Fisher, the Australian manager, and also the Queensland FA Secretary who was also a ANZAC Cove veteran. This was then mounted in silver into a case of Australian maple, to which was later added New Zealand honeysuckle. It was agreed that this handsome trophy would be put up for annual Trans-Tasman soccer competition. Thus, the serious Ashes clashes finally took place in the next two series. Some research was carried, back in the 50's, and in several old Annual Reports, Minutes and a Scrapbook of Newsclippings, the Ashes were mentioned up to and including the 1930's. But into World War II, and it was never mentioned again. Nothing further was heard of the infamous Ashes.